This time is goose egg collecting season! With all the birds having flown back for the summer to hang out in the tundra, eggs can be found all over the landscape. goose eggs, still stained with dirt. You know, I never took part in the whole Easter egg hunting tradition that North American kids do - my immigrant parents couldn't figure out what bunnies laying eggs had to do with Jesus' resurrection - so I was hoping to go out and collect some eggs myself. It would be like the ultimate Easter egg hunt, except way more epic and hard-core because no human adults dressed up in giant furry bunny costumes hid the eggs in the first place. Also, if you go too late in the season you might end up finding a little gosling embryo in your frying pan when you crack the shell open. Some cultures are super into that. I am not. But the risk is thrilling. Unfortunately, according to the Wildlife Management office, it's actually illegal for me to do that. Luckily, Inuit beneficiaries are allowed to collect goose eggs as an exception, so a generous friend in town gave us some eggs. I didn't get my adult Easter egg hunt experience, but at least I didn't have to be illegally "poaching" to taste delicious fresh eggs. 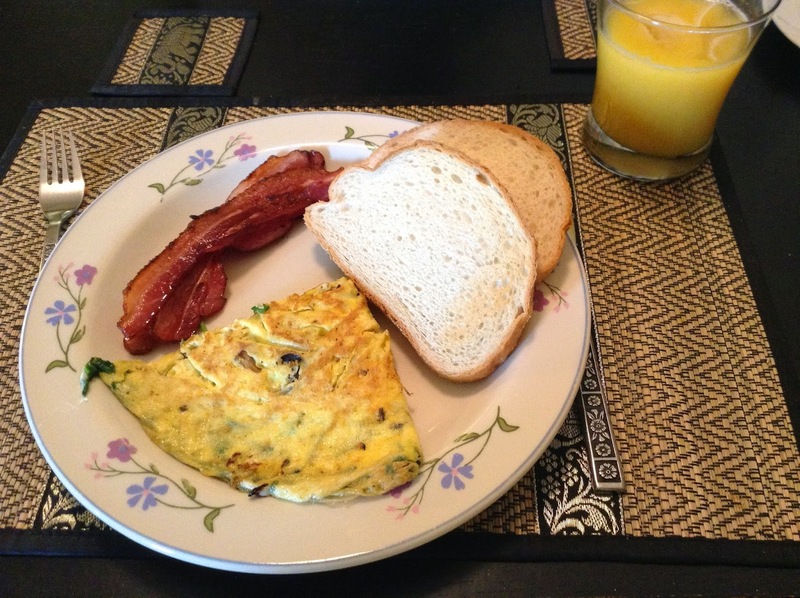 Rob used the eggs to make fancy omelettes with spinach and cheese. There were no partially formed goslings (whew! ), just very large and very yellow yolks that gave our omelettes a lot of colour. Rob also used the goose eggs to make yummy cupcakes!